Gustave Moreau (1826–1898), The Unicorn (1884-85), oil on canvas, 50 x 34.5 cm, Private collection. Wikimedia Commons. Imagine for a moment that you had never seen a rhinoceros. Even better, imagine that you had never even seen an image of a rhinoceros, as was the case for the great majority of the population until relatively recently. 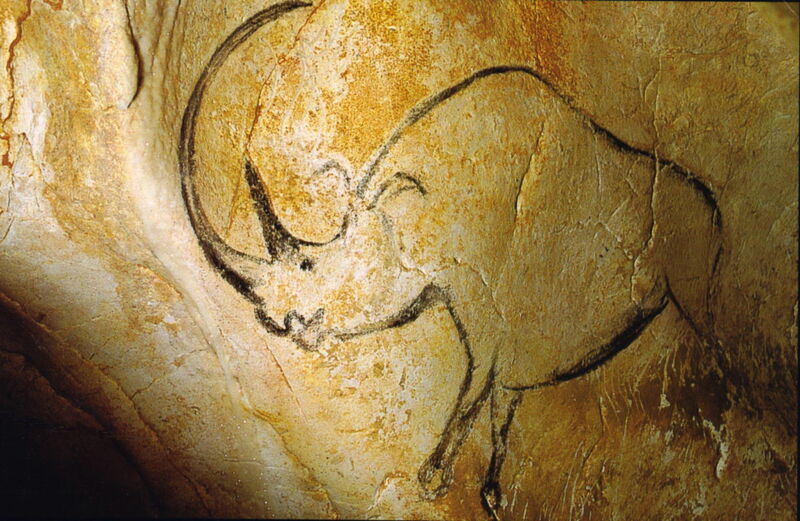 Artist not known, untitled wall painting (c 32,000-30,000 BCE), wall painting, Chauvet Cave, Ardèche, France. Wikimedia Commons. Then you come across this wall painting in the Chauvet Cave, in the Ardèche, France, from around thirty thousand years ago. Someone tells you that’s a rhinoceros. 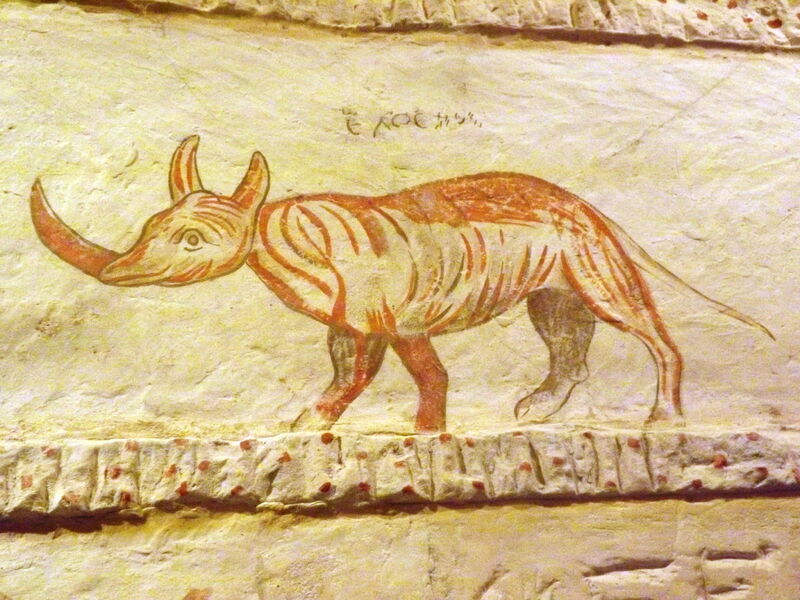 Artist not known, untitled wall painting (before 200 CE), wall painting, Sidonian Burial Caves at Tel Maresha, Beit Guvrin-Maresha National Park, Israel. Image by Maor X, via Wikimedia Commons. Next you see another wall painting, this time in the Sidonian Burial Caves in Israel’s Beit Guvrin-Maresha National Park. Much more recent, this dates from before 200 CE. Again, you’re told that’s a rhinoceros. 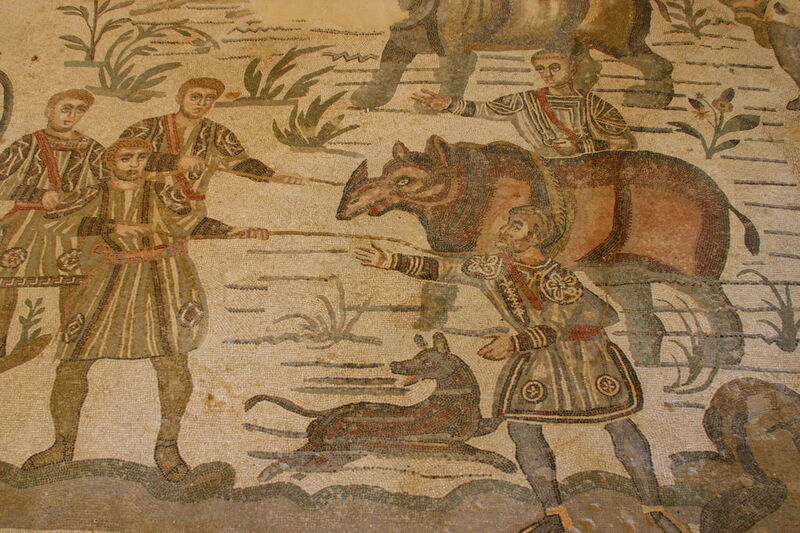 This mosaic in the Villa Romana del Casale, on Sicily, made in about 312 CE, is also reported to you as a rhinoceros. Albrecht Dürer (1471–1528), The Rhinoceros (1515), woodcut, 23.5 x 29.8 cm, location not known. Wikimedia Commons. You should be getting a clearer picture when you’re shown Albrecht Dürer’s famous woodcut of The Rhinoceros from 1515. 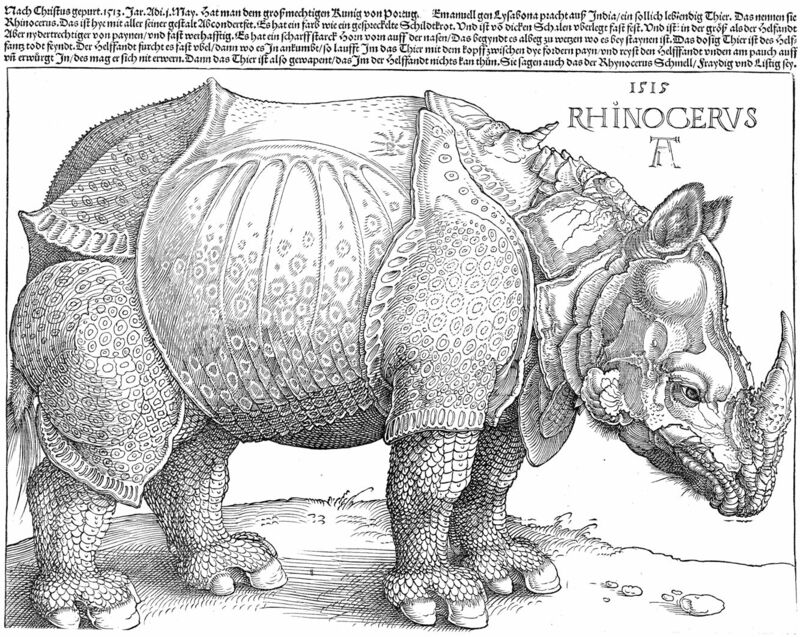 The artist never actually saw a rhinoceros, but made this woodcut from verbal descriptions recorded by others. Jean-Baptiste Oudry (1686–1755), Clara the Rhinoceros in Paris in 1749 (1749), oil on canvas, 310 × 456 cm, Staatliches Museum Schwerin, Schwerin, Germany. Wikimedia Commons. 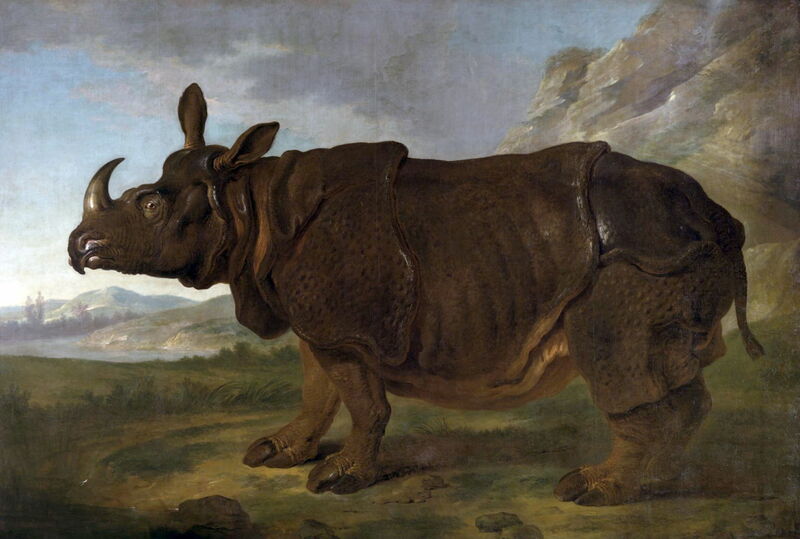 Are those the same animal shown in Jean-Baptiste Oudry’s painting of Clara the Rhinoceros in Paris in 1749 (1749)? 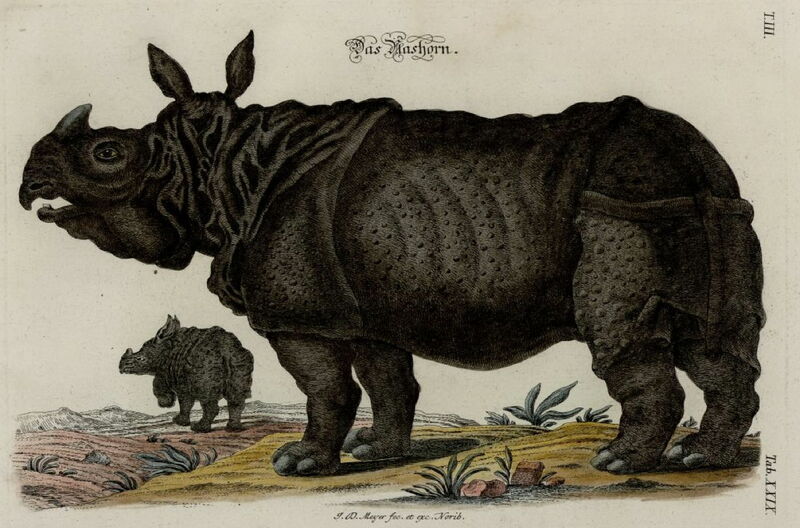 Johann Daniel Meyer (1713–1752), illustration of a rhinoceros (1756), print, Nuremberg, Germany, further details not known. Wikimedia Commons. Or in Johann Daniel Meyer’s 1756 print, which was almost certainly made from the same individual? We know that they are, but the different paintings and prints have differing visual fidelity. The artists were all looking at essentially similar animals, and the differences reflect their ‘interpretation’ of what they saw. They also had quite different ideas about how faithful they needed to be to life, and their contemporary viewers had similarly different views, and degrees of belief in images. The abundant surviving writings of ancient Greeks and Romans reveal that intellectuals of the day – some of whose writings are still of great influence – were quite comfortable with accounts of their deities appearing on earth, and of beasts and monsters which we now classify as legendary or mythical. They clearly had a very different concept of what would have been acceptable as ‘normal’ visually. At some time between then and now, the human approach to ‘reading’ images, whether in paintings or the ‘real’ world, must have changed. To a Roman, a horse with wings was perfectly acceptable, and they might ask you whether it was Pegasus himself. Today if you claimed to have seen a horse with wings people would question your state of mind, or medication. Hieronymus Bosch was and remains famous for his extraordinary images – composite creatures which evolve across his paintings. 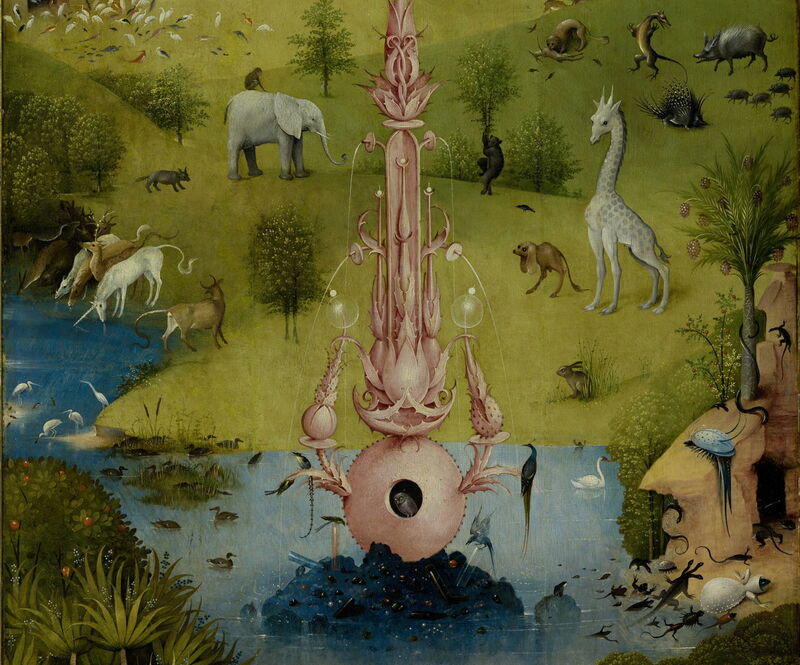 Seen here in the left panel of The Garden of Earthly Delights (c 1495-1505) is a puzzling mixture of the real and the imaginary. There’s an elephant and a giraffe, both very early depictions of the species, monkeys, brown bears, rabbits, and more. But there are also some oddities, including a unicorn. 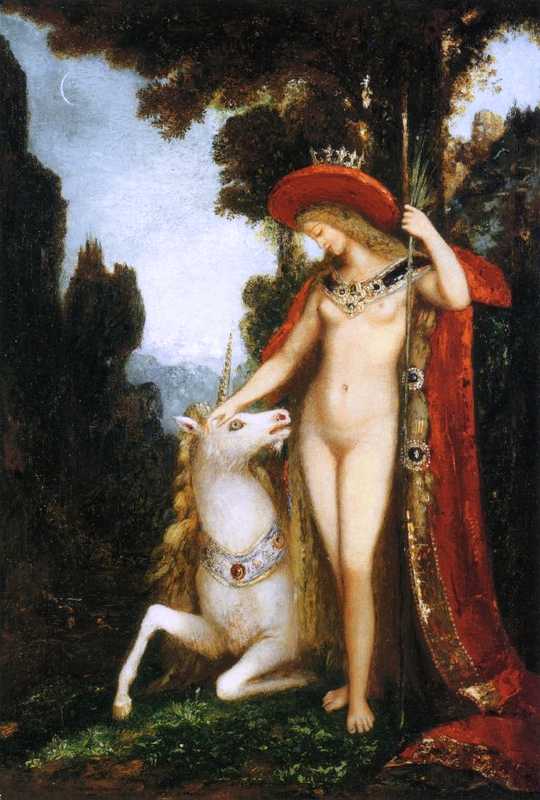 When Gustave Moreau painted The Unicorn in 1884-85, almost four centuries later, few if any Europeans believed that unicorns had any reality in the way that the rhinoceros clearly did. They originated as fantastic creatures in the mediaeval mind, which also believed that only virgins could trap a unicorn. 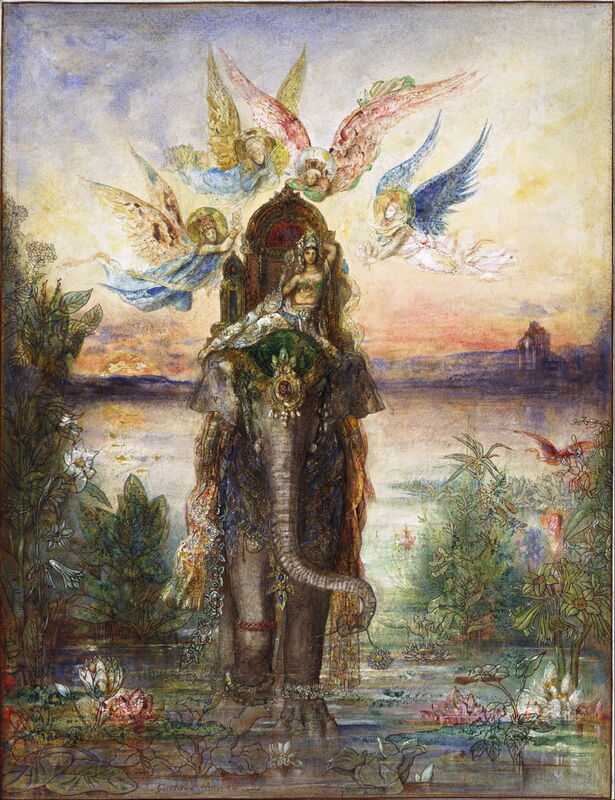 Gustave Moreau (1826–1898), The Sacred Elephant (Péri) (1885-6), watercolour and gouache on paper, 57 x 43.5 cm, National Museum of Western Art 国立西洋美術館 (Kokuritsu seiyō bijutsukan), Tokyo, Japan. Wikimedia Commons. Yet in a different painting by Moreau, The Sacred Elephant (Péri) (1885-86), a very real animal is shown in an equally fantastic setting. We deny the existence of unicorns, and accept the existence of elephants, even when they are surrounded by winged angels. One of the tests which we use of images which we see is whether they show events and objects which occur in our own visual experience. Over many years of visiting art galleries, none of us has seen the objects depicted in a painting burst forth from its frame, in the way that Rubens’ The Disembarkation of Marie de’ Medici at Marseilles (1621-25) does in Louis Béroud’s The Joys of the Flood (in the Medici Gallery) (1910). We therefore classify it as a fiction, a splendid fantasy, not of the real world. 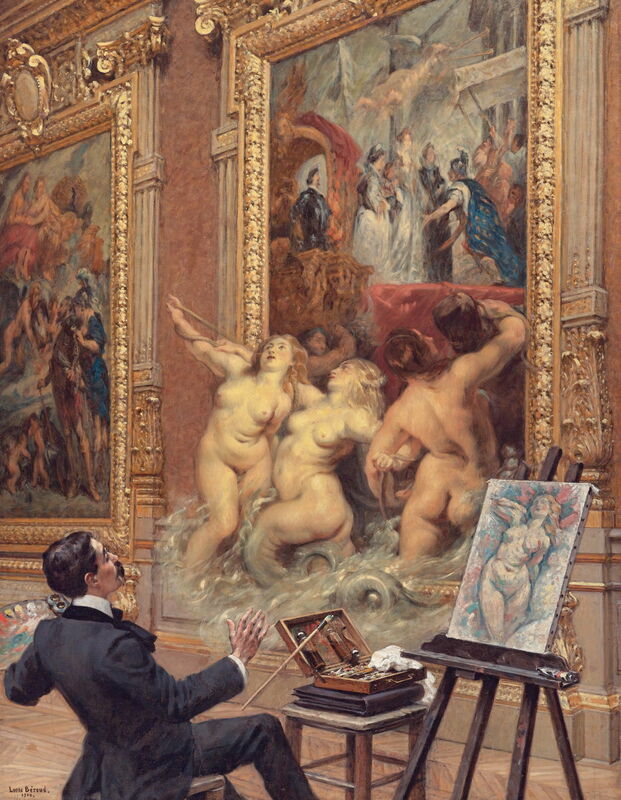 But not long before that, artists and their public had a much more relaxed attitude to accuracy of depiction in images. 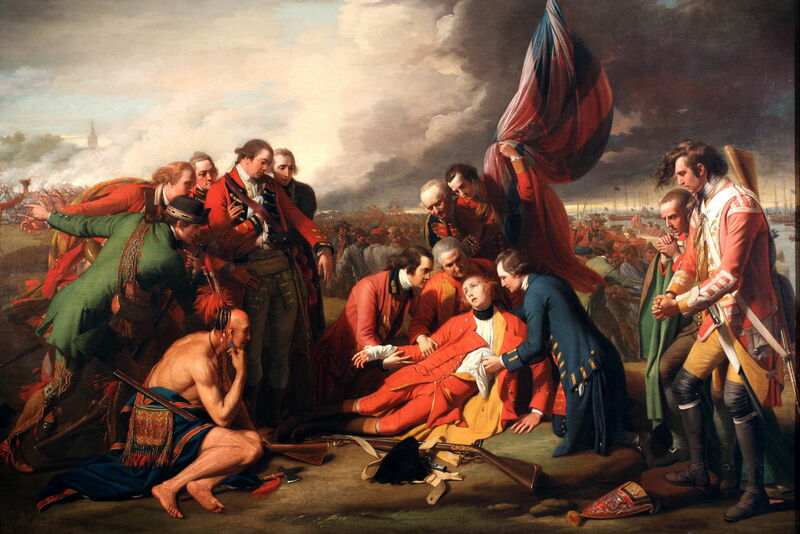 Benjamin West (1738–1820), The Death of General Wolfe (1770), oil on canvas, 151 × 213 cm, The National Gallery of Canada, Ottawa, ON. Wikimedia Commons. By any accounts, Benjamin West’s ‘modern history’ painting of The Death of General Wolfe (1770) was very different from the reality of the scene on 13 September 1759. Most of the individuals shown, including the attending surgeon wearing the navy blue frock coat, could not possibly have been present at the time. West knew that, yet was quite happy to portray them as being present. Benjamin West (1738–1820), Benjamin Franklin Drawing Electricity from the Sky (c 1816), oil on slate, 34 x 25.6 cm, Philadelphia Museum of Art, Philadelphia, PA. Wikimedia Commons. 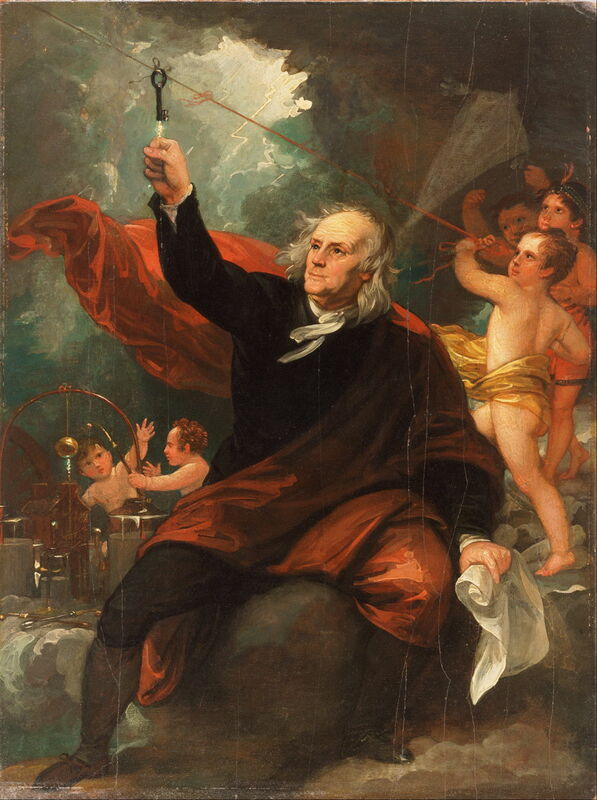 One of his late portraits, of his friend Benjamin Franklin Drawing Electricity from the Sky (c 1816), shows what at the time was a legend, but has since become one of the most memorable events in Franklin’s biography. This coincidence of paintings points to a period in which human visual interpretation must have changed. Until about 1800, most people had a much broader concept of visual truth or fidelity which allowed generous helpings of fiction. Like Plutarch’s biographies collected in his Lives, those inaccuracies were all part of the bigger picture. In Plutarch’s case, they served the overall goal, the assessment of a person’s character and morals. This started to change, slowly, in the Age of Enlightenment, but it wasn’t until the middle of the nineteenth century that significant numbers of people developed visual objectivity. Lorraine Daston and Peter Galison (see References) have traced this in scientific atlases; I am not aware of anyone who has examined visual fidelity in paintings, or in the real world, which seems very much harder. In the latter half of the nineteenth century, with the aid of contemporary scientists such as Claude Bernard and philosophers like Hippolyte Taine, a new objectivity was brought to bear on how people interpreted what they saw, and the images made for them to see. Photography played an important role, and (entirely incorrectly, of course) established itself as the only method of creating objective images, images that you could trust. One problem in painting at that time was the emergence of Impressionism. Although the movement lacked any theoretical basis, or even any apparent coherence, Impressionism was a reaction to the rise of objectivity. Instead it promoted subjectivity. 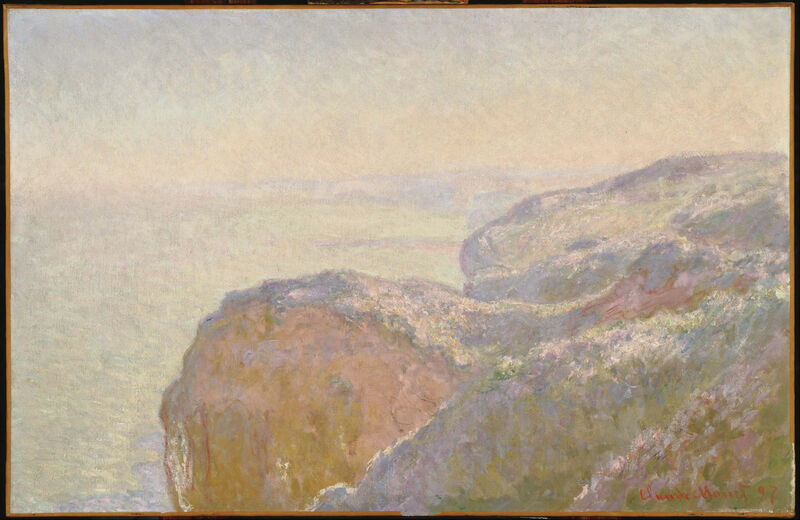 Claude Monet’s misty view along the coastal cliffs of Val-Saint-Nicolas, near Dieppe (Morning) (1897) is a fine example of this. 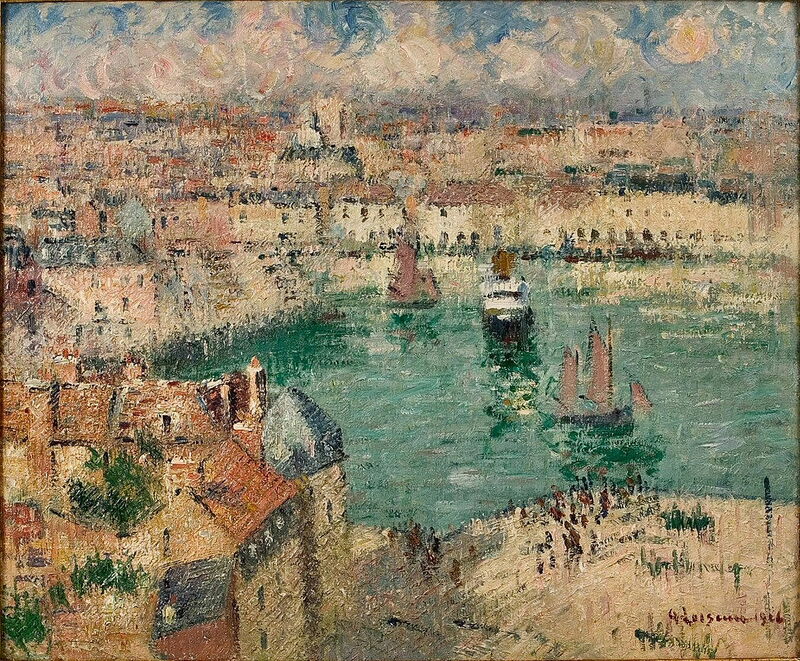 Post-impressionist painting put even more distance between its art and the objective, as seen in Gustave Loiseau’s Dieppe Harbour (1926) with its en treillis (cross-hatched) style. But painting in the late nineteenth century was not all Impressionist, not by a long way. Works condemned in the twentieth century as dead-end or simply dead, now less abusively termed academic, realist, or naturalist, had moved with the revolution in objectivity. 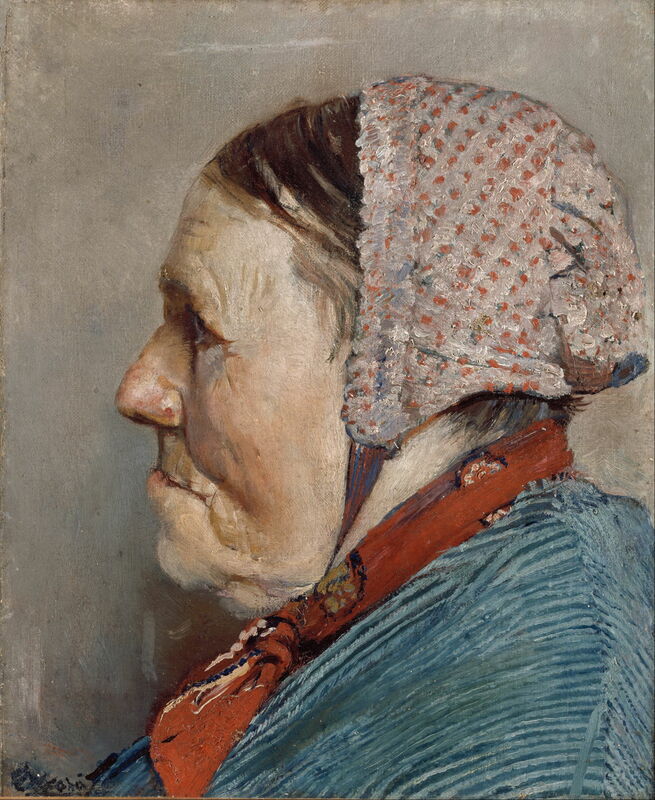 Christian Krohg’s clinical, almost ethnographic, documentary paintings, such as this portrait of Ane Gaihede (1888), acquired a social message that Impressionism completely lacked. There were, and remain, problems specific to visual art. 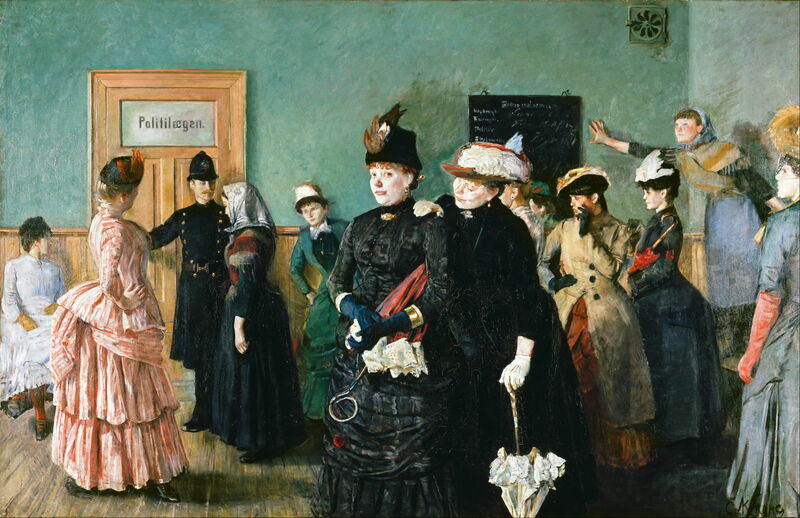 We still tend to believe what we see, and find it hard to draw distinction between realist paintings, like that of Ane Gaihede, and real-looking paintings of fiction, like Krohg’s Albertine in the Police Doctor’s Waiting Room (1885-87). Reading Krohg’s novel Albertine there is no doubt that it is not intended to be documentary in any way. There is no easy way of signalling that in a painting, though. Since then, and the paintings of war artists in the twentieth century, representational painting has retaining some objectivity. Surrealists such as Magritte and Salvador Dalí, who used highly realist styles to show thoroughly fantastic motifs, have shown how the modern mind interprets what it sees with greater objectivity. The undoing has come over the last quarter of a century, with the arrival of digital images and their manipulation using software such as Adobe Photoshop. Now, even with attested context for an image, it is practically impossible to know whether what we see is a representation of the real, or has been skilfully constructed on a computer. In those few years, visual fidelity and our belief in what we see has been all but destroyed. We may as well go back to being Roman. Lorraine Daston and Peter Galison (2007) Objectivity, Zone Books. ISBN 978 1 8909 5179 5. Posted in General, Life, Painting, Technology and tagged Béroud, Bosch, Dürer, elephant, history of painting, Impressionism, Krohg, Loiseau, Meyer, Monet, Moreau, myth, objectivity, Oudry, Post-impressionism, rhinoceros, subjectivity, unicorn, vision, West. Bookmark the permalink.